Heavy duty tarps are essential for various uses. 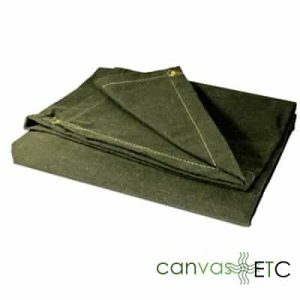 At Canvas ETC., we pride ourselves in providing a fine selection of tarps that serve a numerous amount of needs, including those required for flatbeds. Flatbed tarps are ideal for covering important items that are crossing over long distances. From steel to lumber or heavy machinery, heavy duty tarps for cross-country protection is key. Our offerings extend into several different styles of tarps to suit all your needs. Whether you’re looking for super heavy duty tarps for precious cargo or a waterproof tarp, we can provide the quintessential tarps for all conditions. For centuries, tarps have remained in existence in one way or another. The earliest of tarps, created from duck canvas or duck cloth, found their use in many things but one use was more prominent than others. Canvas tarps paved the way for their earliest users to discover their best benefits. Tarps became initially used for coverings. The earliest forms of tarps lent their application to cover objects on boats for long journeys. When sailors set off to sea, they would use tarps to cover their goods and food to ensure that nothing would spoil or become destroyed. With the creation of synthetic fibers like polyethylene and vinyl came a new era for tarps. They were able to last longer and provide other uses apart from only covering. From camping to large format advertising, tarps began to find their use within endless applications. The properties of synthetically manufactured tarps offered an advantage that set them apart from their naturally made counterparts. Synthetically made tarps could become manufactured faster, in a variety of weights depending upon the application and with fantastic benefits. These tarps could now be mildew resistant, uv resistant, or even flame retardant. Their applications allowed for tarps to become a needed commodity. Now, tarps get their use for so many different things, but their best use is still in covering your goods. Heavy duty tarps offer amazing benefits mostly because of the materials used to make them. As times changed and technology moved forward, tarps were made with so many different materials. As stated, synthetically made tarps provided a number of benefits that made the difference for many. 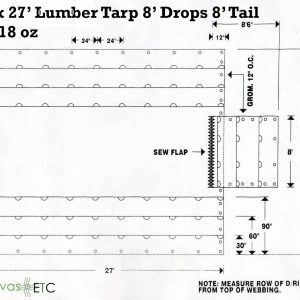 Now, tarps are vastly made from vinyl or poly (or a combination of both). Using vinyl coated polyester for a tarp covering creates heavy duty poly tarps that are worthwhile. They protect against harsh weather conditions, are water repellent and allow for extended use. 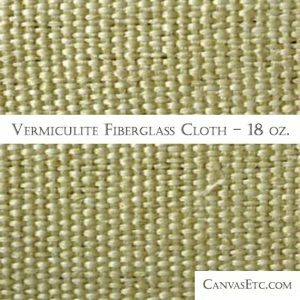 Vinyl coated polyester allows for a good stretch. When you’re driving a long way with important items in tow, it’s important that your tarp covers every portion of what’s being covered. Because of the material used, not only do your items stay protected, but they stay in place due to the stretch of the vinyl. Polyethylene, or poly tarps are the most frequently seen material used in the creation of tarps. They’re used for everything from camping tarps to long haul flatbed tarps and offer many benefits against unpredictable conditions. Poly tarps are traditionally woven together with strips of polyethylene to create a reinforced, sturdy tarp. They’re sewn with rope reinforced hems so that there’s no risk of ripping, with offerings in various mil thickness depending on their use. 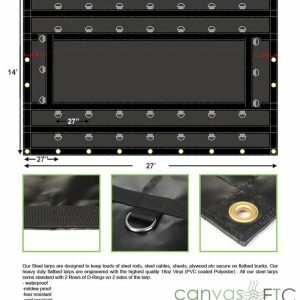 Overall, heavy duty tarps can come in any kind of materials from vinyl to poly, but each material offers a unique quality giving you the long-term advantage. The way tarps are made relies on the material used. If you’re looking for a sturdy heavy-duty tarp, then most are made from vinyl coated polyester. Tarps that stand the test of time can often be heavier weighted. At Canvas ETC., we carry an 18 oz. vinyl tarp that works well for industrial applications. If you’re meaning to keep your shipment secure, this tarp offering serves that purpose and more. For a vinyl coated polyester tarp, first the material is made. Polyethylene starts off as a chemical compound and goes through a series of steps to become pellets. Those pellets are eventually melted down and formed into strips. The same poly strips can come in a variety of sizes. Depending on the duty tarp manufactured will allot for the length, weight and width of the strips themselves. 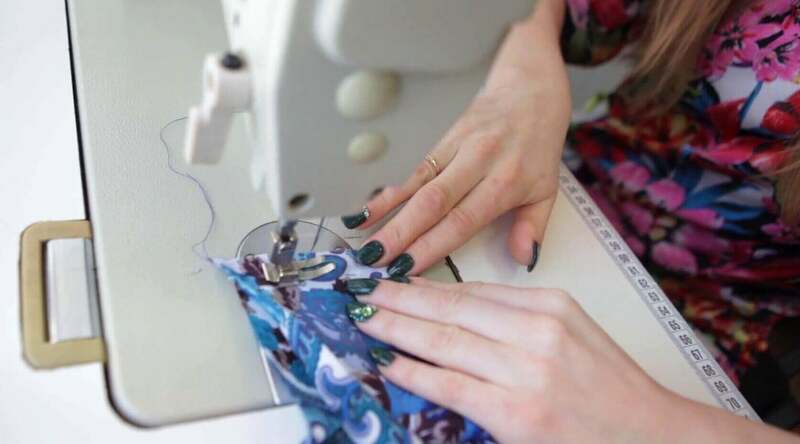 Once decided, the strips become woven together to create a strong sheet. 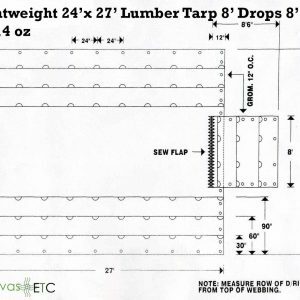 The sheets become converted by cutting them down to the size and shape needed for your tarp. Once fastened and reinforced, they’re coated in a vinyl that supplies amazing extra added benefits like waterproof properties and high abrasion resistance. Things like rust resistant grommets or d-rings are optionally added to your tarp for tie down options. Once your tarp is ready for use, it maintains an extended lifespan through care and upkeep. All in all, tarps made with vinyl coated polyester become coveted for their incredible properties. One of the greatest uses for heavy duty tarps are in long haul trucking. Trucking requires incredible strength of mind and duty while on the road. The last thing a trucker should have to worry about is his load being damaged due to the wrong flatbed tarp. A good heavy duty flatbed tarp for trucking will have the right features to go the distance. No matter the load, the first and most important property is coverage. A good tarp will cover your load completely no matter what. Once the load is properly covered, it should remain secure during the long drive. A strong and sturdy tarp should have grommets (rust resistant preferred) placed every 18 inches for optimum strapping. An extra added benefit of a tough tarp will be in the thickness. Keeping your load protected happens with a good heavy duty tarp that is consistently thick to your needs. For example, a 12-mil tarp keeps a load safely padded and secure, however your load may not require something as thick. Nevertheless, these properties and more make durable flatbed tarps ideal for the trucking industry. 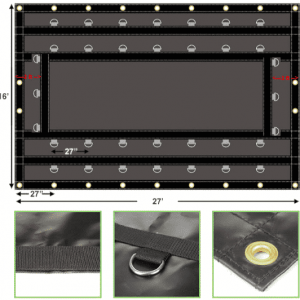 Rubber Tarp Straps: Any tarp with good grommets benefits from rubber tarp straps. Straps keep your flatbed tarp in place while you drive your cargo to its destination. They’ll provide stability as you get your shipment to its location safely. Ratchet Straps: If you need heavy duty protection, ratchet straps are an ideal option. These straps, often made from high tensile fibers like nylon, are super tough. They are difficult to sever and remain put with the right winch. Winches: Winches and ratchet straps go hand in hand. Winches secure the straps down tightly and don’t allow for your cargo to bounce around as you drive. A sturdy winch keeps straps in place and your shipment secure. Tarp Repair Kits: The unpredictable can happen at any moment. Although heavy duty flatbed tarps are made to outlast most options, bad things can happen on the road. A tarp repair kit ensures you still make it to your destination with your items intact! These accessories and more make the difference when using your flatbed tarp. They’ll save the day at a moment’s notice, and help you get your cargo to its location in one piece. Floor Coverings: Placing rough furniture or machinery in a more sensitive area? Use a tough tarp to cover the area to prevent scratching or damage to your floor. This also works well when trying to protect your items from the ground also. Temporary Shelter: If you’re in a location without cover, using a tarp for shelter is ideal. Tarps placed in the right way prevent harsh weather and extreme elements from harming you completely. While they’re not ideal in extreme cases such as tornadoes and hurricanes, if you’re trying to stay out of the rain, use our durable tarps! Alternative Sails: When boating, if you’re sails become unusable, tarps can save the day! A tarp is able to become fashioned into a makeshift sail for your boat if needed. Tents: On par with shelters, tarps make great tents. If you’re staying somewhere off road for the night and need a place to keep you safe, a great flatbed tarp will do the trick. These uses and so many more make strong flatbed tarps perfect for a number of applications! It’s always smart to keep a tarp readily available for whatever you may need one for. Heavy duty tarps are an exemplary accessory for many various applications. If you’re trucking and in need of coverings for your loads, our flatbed tarps are built strong and are made to outlast lower-quality counterparts. If you’re intent on keeping your cargo safe, our tarps are excellent for protecting all of your items. Put ease in your mind over your long drives with our selection of fine heavy duty tarps. 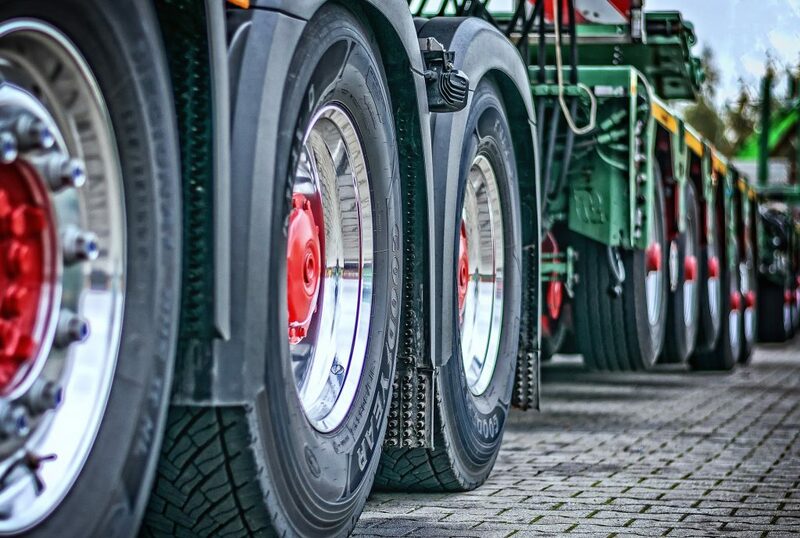 If you want to learn more about how we can help outfit your truck or vehicle with the right kind of protection, contact one of our experts today.